Want to do something that can actually make a difference for bicycling in Dallas? Attend Texas Bike Lobby Day on Monday, March 25th. Bike Texas is organizing the event that takes place during our great state’s legislative session. 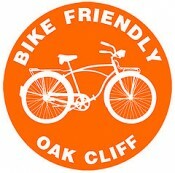 This year, Bike DFW, our regional bicycle advocacy organization, is handling the registration process and organizing transportation down to Austin and back for the DFW area. ← From Oak Cliff to Iran. Tehran’s First Better Block Project!